A native of the Brazos Valley, Hutton Ask was born in College Station and raised in Bryan, Texas. After graduation from Bryan High School, Mr. Ask enrolled at Texas A&M University, from which he graduated in 2010. He then attended the St. Mary's University School of Law in San Antonio, Texas. During law school, Mr. Ask volunteered his time representing disadvantaged persons charged with both misdemeanors and felonies. After graduation from law school and becoming licensed by the Texas State Bar, he returned to his hometown to serve as prosecutor for the Brazos County Attorney's Office. There he prosecuted a wide variety of criminal cases, including Driving While Intoxicated, Possession of Marijuana, Possession of a Controlled Substance, Assault, Theft, and others. Mr. Ask focused on trying Driving While Intoxicated cases to judges and juries. He prides himself on staying on the cutting edge of the latest legal and scientific developments in the field. This includes the gas chromatography analysis used by the government to measure blood-alcohol content, and the processes used in the Intoxilyzer 9000 instrument used to determine breath-alcohol content. Mr. 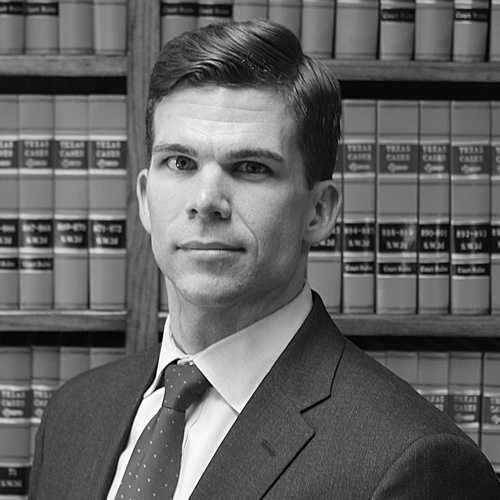 Ask joined the Law Office of James & Reynolds in 2016, where he uses his diverse legal background to provide knowledgeable and effective representation to citizens of the Brazos Valley and surrounding areas. He has successfully represented individuals charged with every degree of criminal accusation, from serious felonies to misdemeanors. Mr. Ask practices in many jurisdictions and is committed to providing dedicated and skilled legal representation to anyone accused of a crime in the State of Texas. Call, email, or message Hutton. Use this form to send a message directly.